SportingSights has a huge collection of geo-tagged sports stadium. The site seems to have collections for most major sports. Each stadium is shown on Google Maps but there is also the option to view the stadium in Virtual Earth, Yahoo Maps and Multimap. MapGameday is a website aimed at college football fans to help them share special places around their favourite school with other fans. Users are able to share their favourite hotels, restaurants and tailgate locations. The site includes a number of Google Maps, such as the college football recruiting map and team travel maps. The team travel maps show the distance that College Football Teams travel for road games, both in and out of conference. Whilst the college recruiting map shows every division one school and their recruits. MapGameDay also allows you to view the college football stadiums in 3D via the new Google Earth browser plug-in. Golf Nation has added Google Earth Browser plug-in views to their comprehensive list of golf courses. They have also added the option to embed any of the golf course maps in your own website or blog. Each course has all eighteen holes tagged and each tag contains information about the hole's par and length. SatelliteSights.com is a new community-driven satellite image sightseeing project. 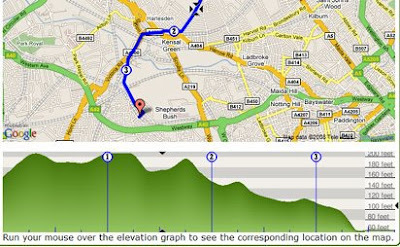 Users can submit interesting views they have found on Google Maps. The site already has thousands of interesting satellite images from around the world, submitted, researched, and maintained by its users. Again SatelliteSights is not devoted to just mapping sports stadium but it does include a big 'sports' section of satellite views. You can find many other Sports related Google Maps Mashups in the right hand column of this page under 'Sport'. What kind of organisation would create a Google Map mash-up identifying the location of every Army, Navy, Air Force and Marine military installation in the US? A map moreover that allows users to zoom in on any military base and examine a detailed satellite image whilst at the same time providing information on the types of planes and squadrons based there. Well the Federal Aviation Administration (FAA), that's who. SeeAndAvoid.org, according to the U.S. Defense Department, "offers a centralized, credible website for civilian pilots and military safety officers. The site offers reciprocal information and education on airspace, visual identification, aircraft performance and mutual hazards to safe flight, with the ultimate goal of eliminating mid-air collisions and reducing close calls." When the Pentagon forced Google to remove 'street view' imagery of US military bases last year who knew it was because they wanted to map every military base for the world themselves? 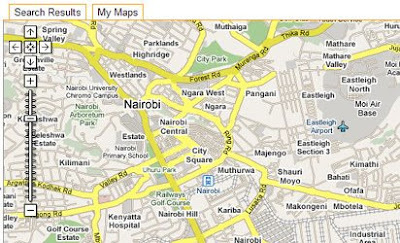 Road maps have been added to Google Maps in Kenya. Network World has an interesting account of how Google worked with a team of seven students from three Kenyan universities to add roads to Google Maps in Kenya, which was previously limited to just four highways. If you want to check which countries have roads, in which countries you can get driving directions or which countries have business listings on Google Maps you can use this handy spreadsheet. The spreadsheet shows details of Google Maps coverage for every country covered on Google Maps. In March Google Maps Mania reviewed an excellent Google Map of reported human rights abuses in Kenya called Ushahidi. Crude oil seems to record its biggest hike in price almost monthly and gas prices appear to hit record levels almost daily. I'm sure that Google Maps mashups that show the consumer where they can find the cheapest gas are bound to be popular at the moment. GasPriceWatch is a website that will help you find the cheapest gas prices in your neighbourhood. You can search GasPriceWatch for US gas prices by using the zip code search or by specifying a street, city and state. The gas prices of local gas stations are then shown in a sidebar and tagged on the map. Gas Prices are updated on the site by over 123,000 volunteers. ALtFuelPrices is a Google Maps mashup showing alternative fuel prices and fill stations for the entire US. You can search the map by zip code or state. You can also refine your search by type of fuel, e.g. biodiesel or electric. Results are returned on the map with handy price tags. UK Readers can find the cheapest petrol in their neighbourhood at WhatGAS.com. Search for prices by entering a postcode in a search box. Local petrol stations are then tagged on the map with prices in litres. You can even adjust / update the prices yourself if you know they are wrong. WAPetrol is a Google Map mashup showing the cheapest places to buy petrol in Western Australia. The cheapest prices are given in a sidebar. Click on one of the petrol stations listed in the sidebar and it is highlighted on the map. Two days ago, at the 212th meeting of the American Astronomical Society, a new portrait of stars in our inner Milky Way galaxy made from over 800,000 snapshots from NASA's Spitzer Space Telescope was released. When I first saw the images on the internet I thought 'someone should make a Google Map of that portrait'. Well Caltech have - so now you can navigate and zoom into the image using Google Maps' familiar navigation tools. 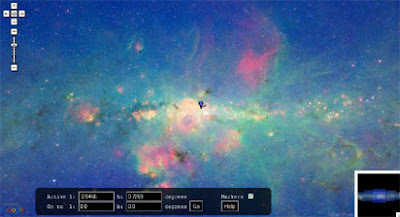 If anything the Spitzer imagery is more astounding than the Hubble imagery used in Google Sky. At the moment the map is a little light on informative markers, but the makers say they will be adding more soon. Google have today added 3D models of Disney's parks in Orlando to Google Earth. The new 3D models are also accessible in Google Maps via the new Google Earth plug-in. This 3D Disney World Tour links to many of the favourite attractions of the Disney resorts, such as Cinderalla Castle and Spaceship Earth. OK, it isn't as good as the real thing but this virtual tour through the new 3D buildings and rides is amazing none-the-less. The attention to detail in the models is impressive and there are models not only of the rides and buildings but trees, statues and much, much more! The Google Earth Blog has more detail on how to access the models in Google Earth and have even produced a fly-view video of the models in Google Earth.